At 2:41 PM West Mead 1 was dispatched as part of a second alarm to assist Meadville Central with a working house fire on Baldwin Street. 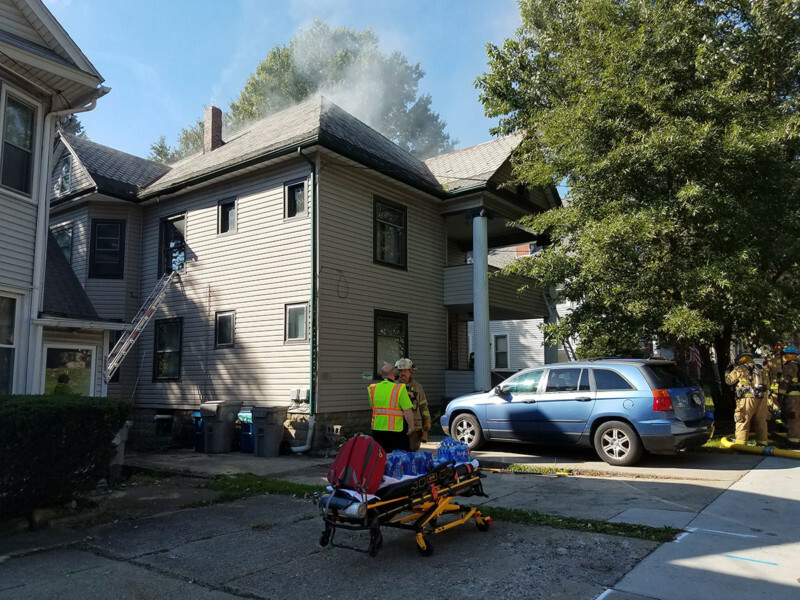 Engine 28-13 responded to the scene, a two-story residential duplex with fire on the second floor extending into the attic. 28’s initial assignment was to ladder the building, then a crew was sent to the second floor to assist with overhaul. West Mead 1 also assisted with accountability and cleanup after operations were concluded. Other companies on scene included West Mead 2, Vernon Central, Saegertown, and Meadville Ambulance. Department 28 returned to service at 5:03 PM.